T.C.Lewis was one of the most important organ builders working in the second half of the 19th century. His instrument in Cullercoats has 26 speaking stops spread over two manuals and pedals. 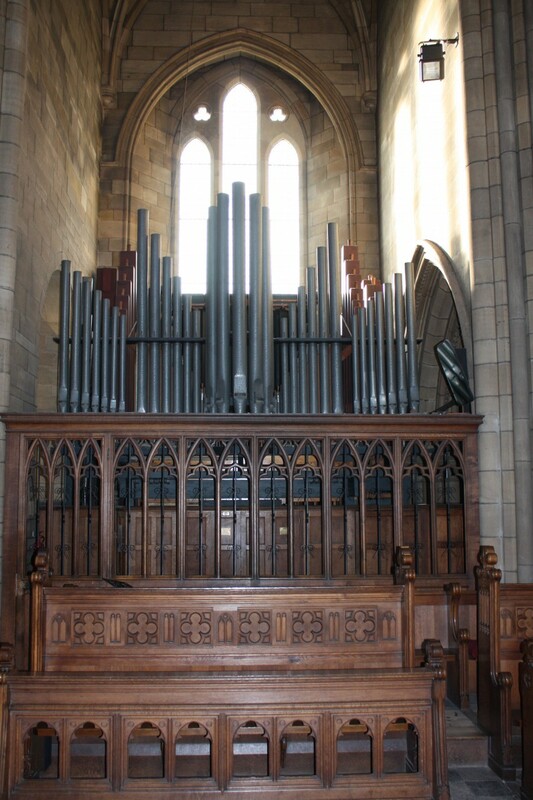 It is the only unaltered Lewis organ remaining in the Diocese of Newcastle, and one of only a handful in the country. The organ sits in the South Transept, directly under the tower facing north, with a generous amount of free space around it (an organ case was never built). From this position, its commanding voice can be heard in all parts of the building without loss of impact. The organ may look small but it has a mighty sound in a wonderful acoustic. It has been heard in radio broadcasts and is constantly in demand by leading organists for recitals and recordings. Musicians are always astonished by its clarity of sound and distinctiveness compared with other organs.